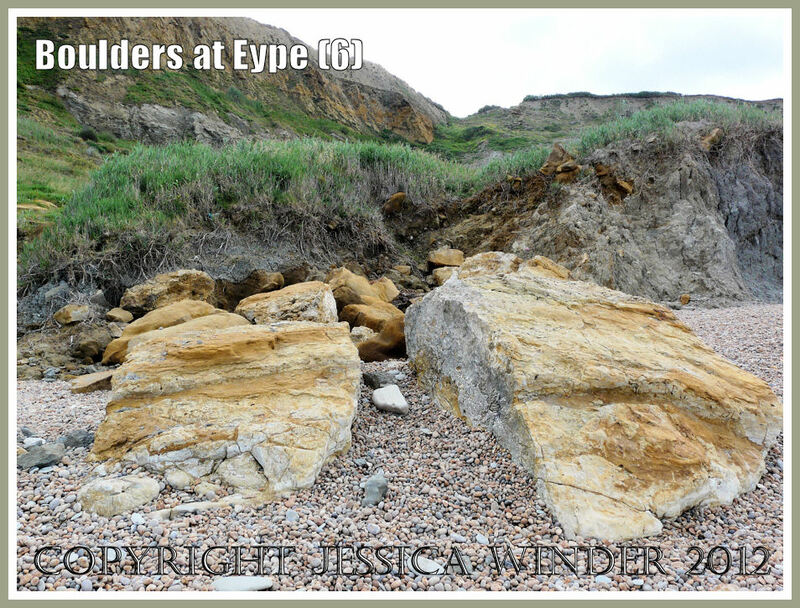 The tall cliffs at Eype in Dorset are composed of a variety of rock types with many being soft and crumbly. 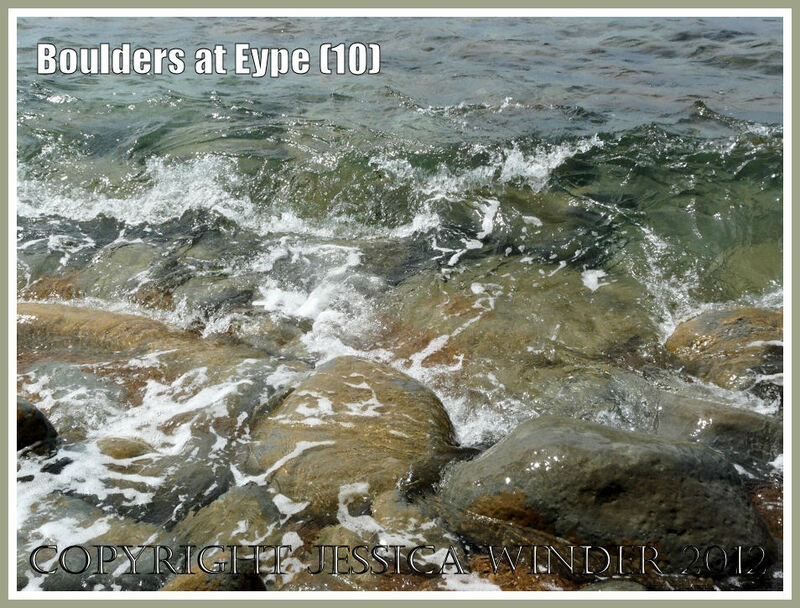 This means that they are easily weathered and often slip down the cliff face to the beach below. 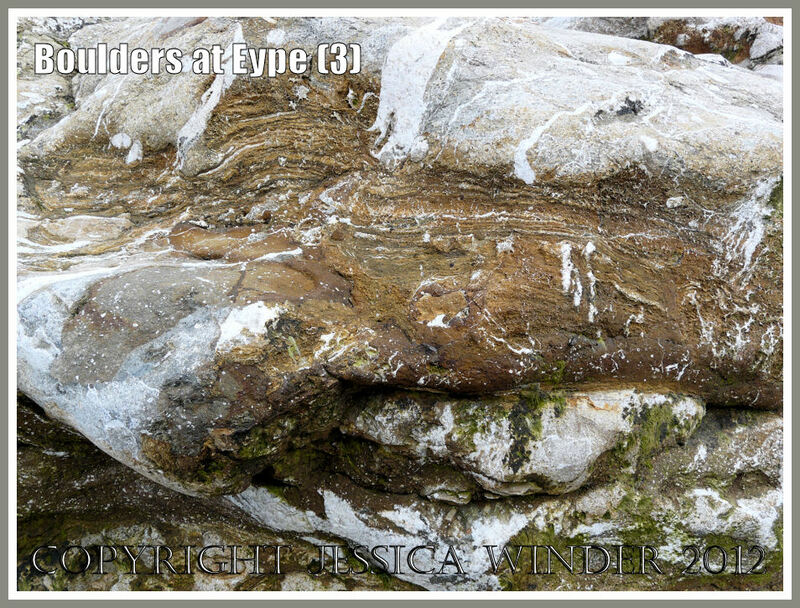 The base of the cliff is strewn with massive boulders some of which have been split assunder by the fall. 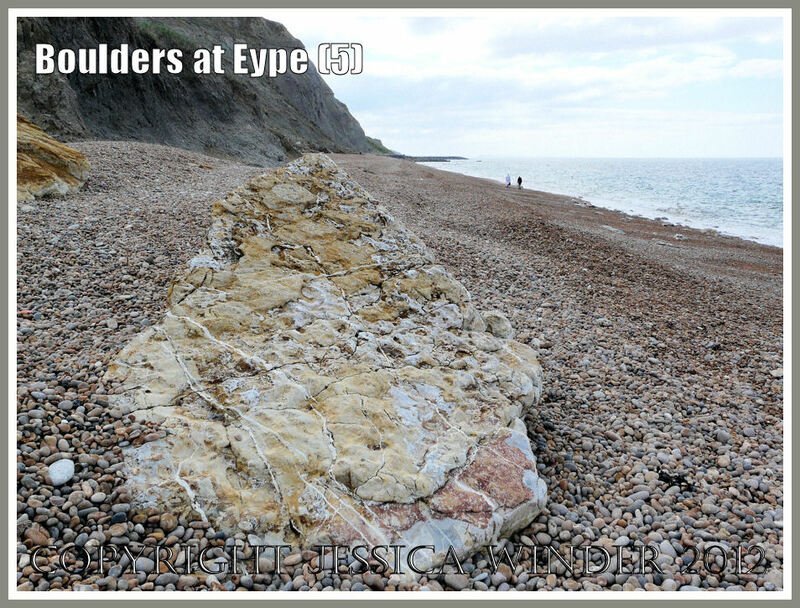 At the eastern end of the seashore facing towards Bridport the light coloured boulders are patterned with layers and patches of iron containing minerals – a bit like the ‘snuff boxes‘ found on the shore at the foot of the Burton Bradstock cliffs. 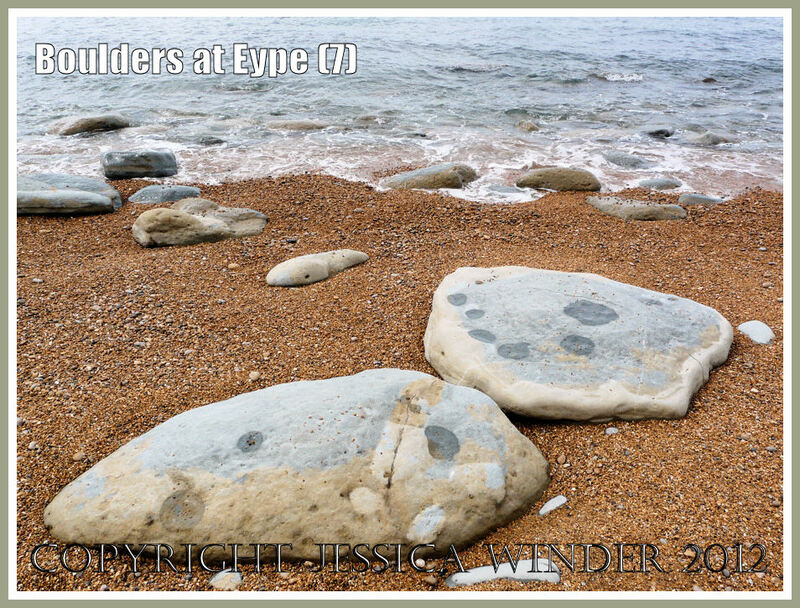 Some boulders lie on the surface of the shingle and others lie half buried scattered from the top of the beach right down to below the waves. 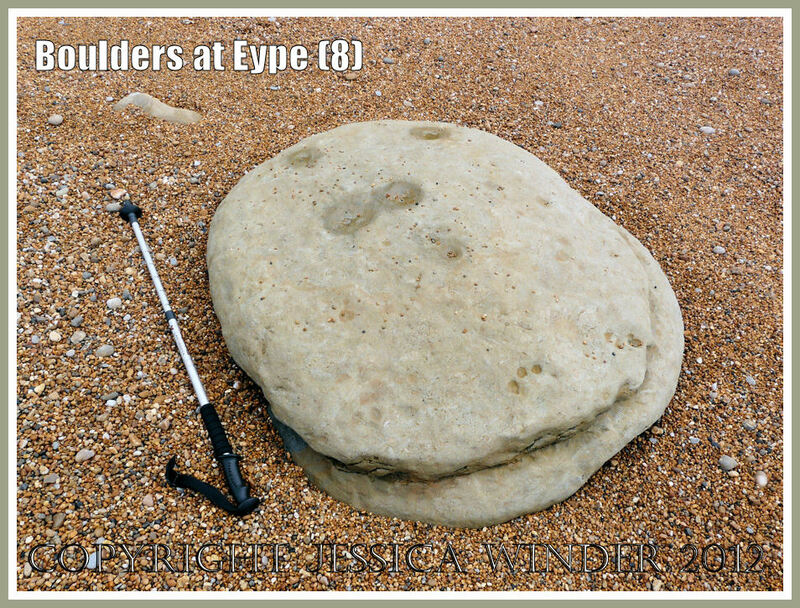 A few of them are like the giant ‘burger buns’ found on the Osmington seashore. 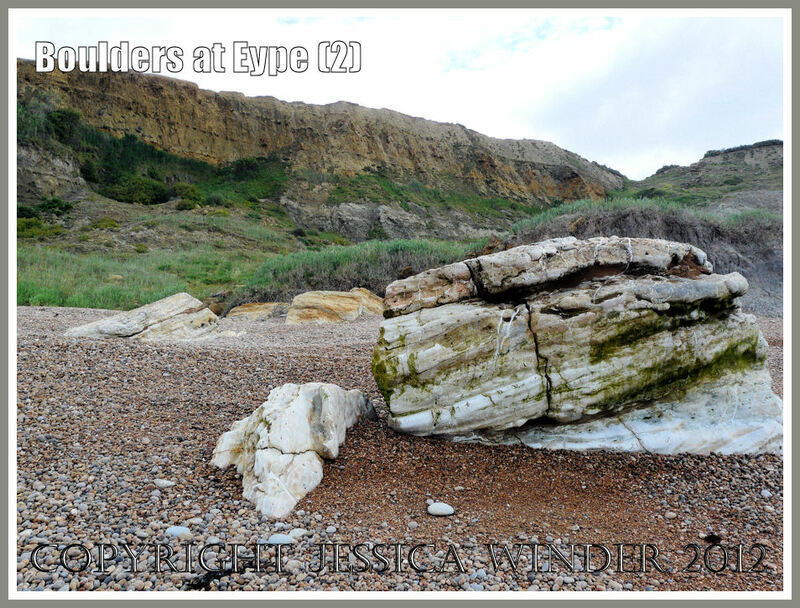 The nature of the rocks changes as you walk westwards along the beach – reflecting the changing geology of the cliffs behind. 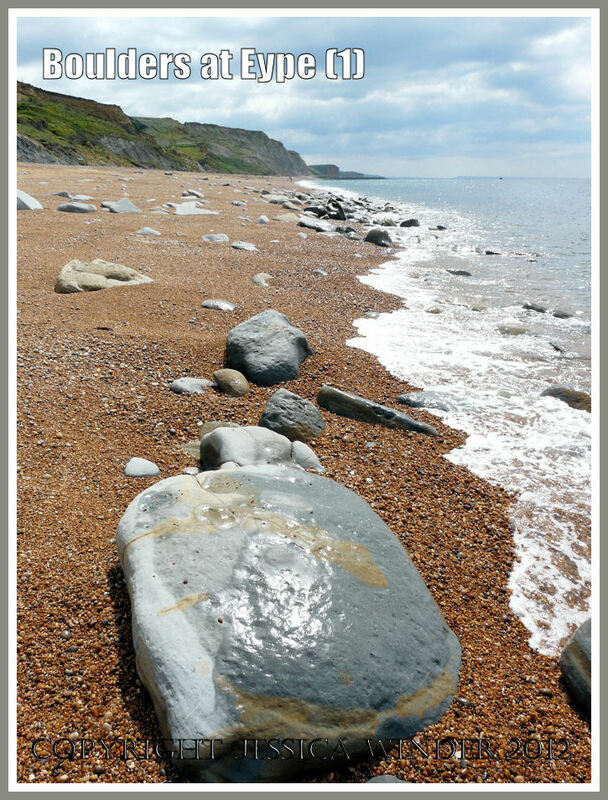 Many boulders at this end of the shore are a fantastic pale blue grey colour with a brown outer layer. There are interesting abstract patterns where the brown layer is wearing away. The stone is blue when it first falls from the cliff and changes to brown as the iron minerals it contains oxidise on exposure to air. 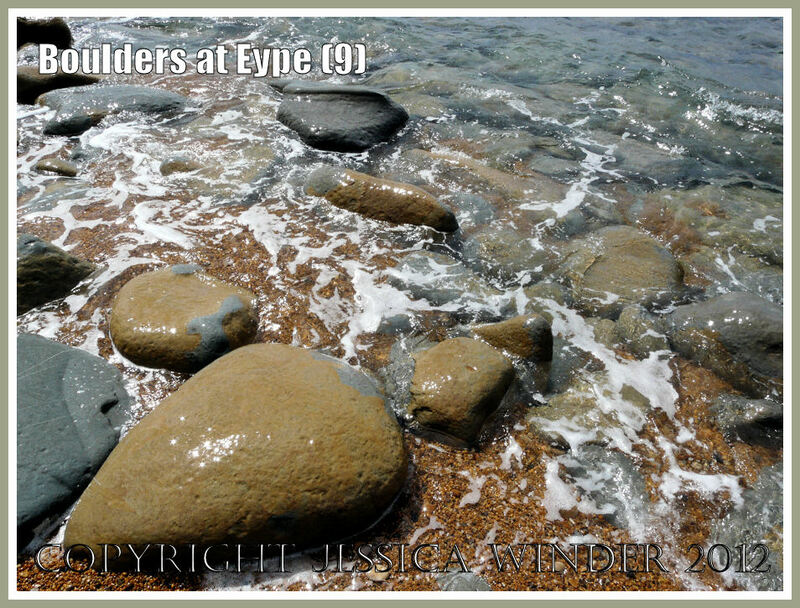 The boulders are also much smoother here and sculpted into pleasing shapes. 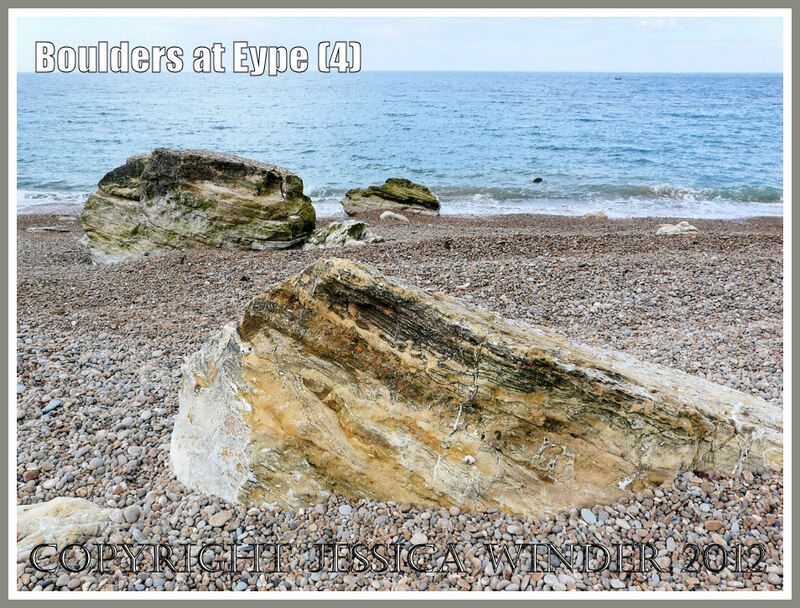 Lovely boulders. I would like to stand on one and feel the wind off the coast and talk to you about your life. Wouldn’t that be fun? That would be lovely, Kathy. Hello Glen, I have sent a reply to your e-mail address with an attachment. Let me know if it is OK or whether it is an other image that you need.